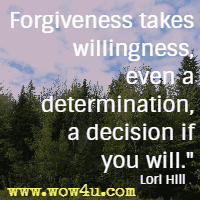 Be encouraged by these forgiveness quotes and sayings. 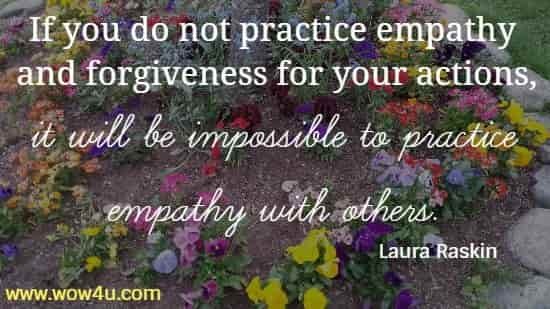 Forgiveness means an action or process of forgiving; for example to stop feeling angry or to stop blaming others. 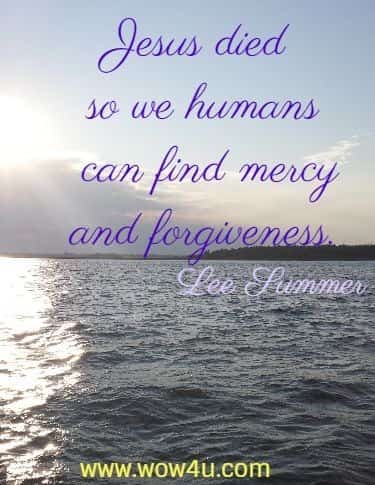 Find messages in these quotes about the power of forgiveness. 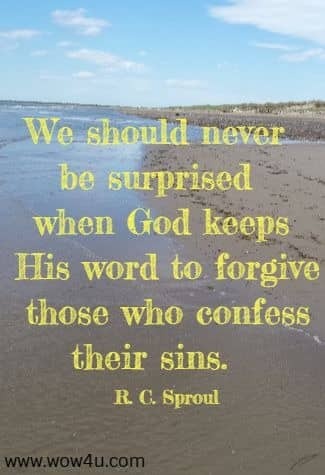 "We should never be surprised when God keeps His word to forgive those who confess their sins." 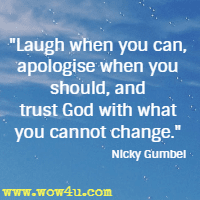 R. C. Sproul, Does Prayer Change Things? 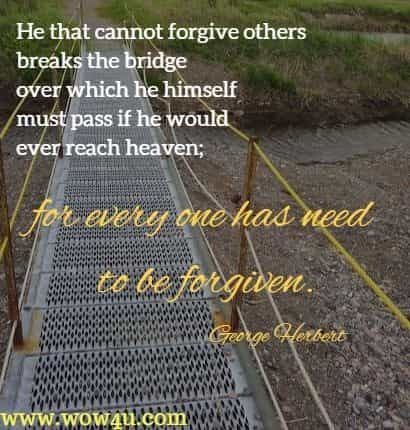 God's forgiveness and grace is bigger than anything wrong you've ever done or will do. "You cannot change the actions which led you to your situation now, but you can control your actions and thoughts as you move forward. 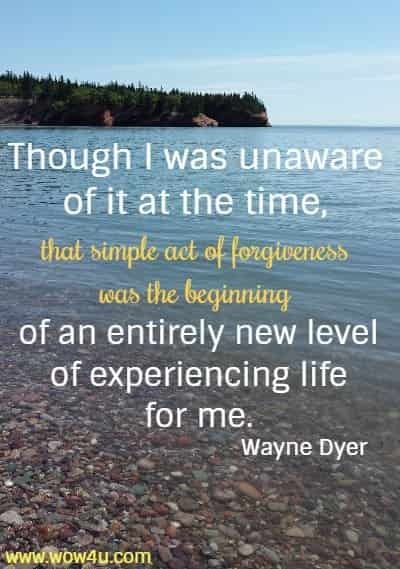 It's important to forgive, and let go." C Felder, FIRED! So What? 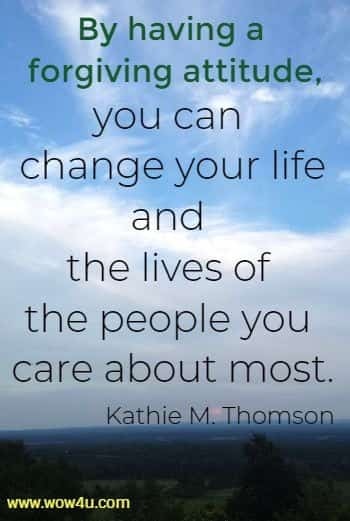 "Once you realize we're all equally capable of doing wonderful or horrible things to those we love, it's easier to plant that seed of forgiveness and allow it to start growing." Linda Barbosa, How Can I Smile at a Time Like This? "Like a loving spouse who occasionally doesn't feel so loving, we ask for forgiveness and come back into relationship." 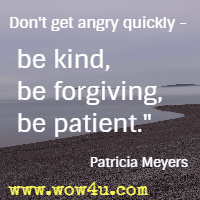 Laurie Penner, When Does It Get Easier?